This is a trail pesto, not an authentic pesto. Do not add pine nuts or oil. Combine a handful of basil with a couple cloves of garlic. Process in a food processor or in a mortar and pestle. Add salt and water to help the processing or grinding. 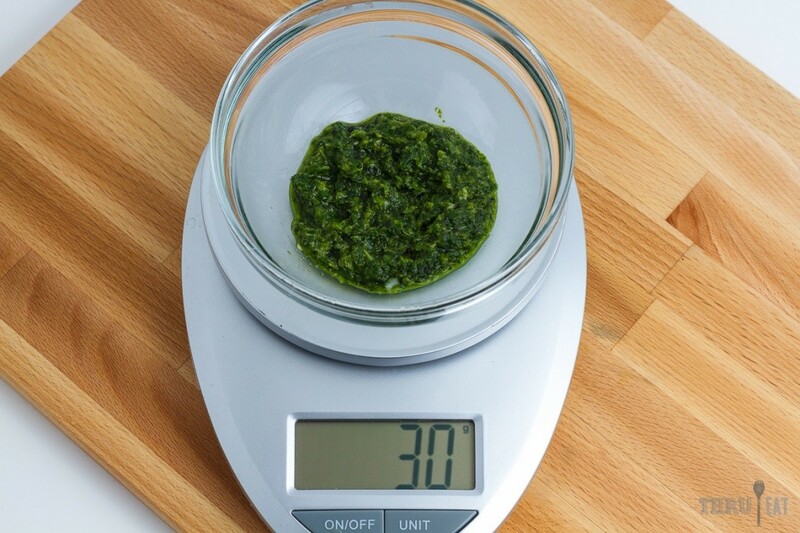 Pesto is dry when it becomes delicate and falls apart easily. Total drying time will depend on how much water you add and how large of a batch you're making.